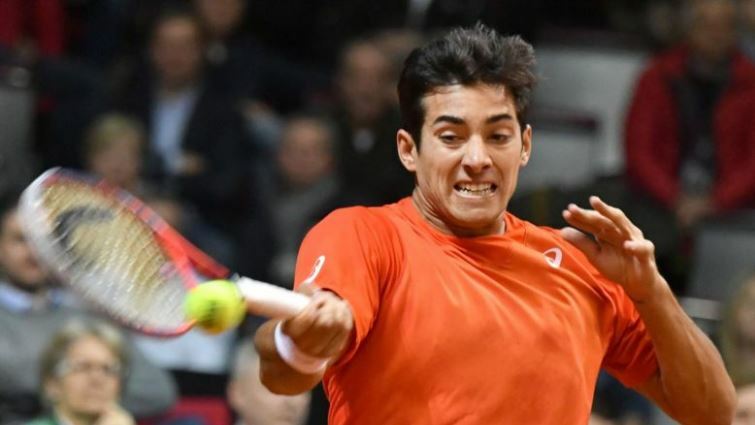 Christian Garin claimed his first ATP title on Sunday, weathering a solid challenge from Casper Ruud to post a three-set win in the final of the US Men’s Clay Court Championships. The 22-year-old Garin, who is part of the ATP’s next generation of stars, beat Ruud 7-6 (7/4), 4-6, 6-3 and becomes the first Chilean to win an ATP Tour title since Fernando Gonzalez in 2009. Not only did Garin pick up the winner’s check Sunday but he will play in his first French Open next month in Paris. Garin reached the final by defeating American Sam Querrey 7-6 (7/2), 6-2. But his road to the final wasn’t easy. He was pushed to three sets in his opening match against Pablo Cuevas of Uruguay and saved five match points to defeat second seed Jeremy Chardy of France in the second round. Ruud, 20, was seeking to become the first Norwegian to win an ATP Tour title. Ruud’s father, Christian, was the last player from Norway to reach an ATP Tour finishing runner-up in 1995 at Bastad, Sweden. Christian Ruud competed on the Tour for a decade. The post Garin becomes first Chilean ATP champion in a decade appeared first on SABC News – Breaking news, special reports, world, business, sport coverage of all South African current events. Africa's news leader..